Authorities of the University of Lagos (UNILAG), School of Postgraduate Studies, invite applications from suitably qualified candidates from recognized institutions for admission into the various Postgraduate programmes offered by the institution for the 2017/2018 academic session on full-time and Part-Time basis. UNILAG Postgraduate – Available Programmes. There is flexibility in the mode of study with Full-Time, Part-Time, Executive and Sandwich options as applicable. UNILAG Postgraduate Admission – General Requirements. GENERAL REQUIREMENTS PGD & M.Sc. 3. In addition to (i) and (ii) above, an applicant may be required, as a condition for admission, to undergo a selection process in the form of written and/or oral examinations. 1. (i) Candidates who have not completed the National Youth Service Corps programme or currently undergoing a Postgraduate programme need not apply. Such applicants will be automatically disqualified. 2. Candidates awaiting Bachelor’s degree results need not apply. 3. A holder of Degree obtained from an Outreach/Satellite are not eligible to apply. 4. All academic transcripts must reach the Deputy Registrar/Administrative Secretary, School of Postgraduate Studies on or before the start of the session admission is being sought. (i) Candidates must possess a Bachelor’s honours degree from this University or any other approved University with at least a Second Class (Upper Division). (ii) Candidates with a Master’s degree with a minimum of CGPA of at least 3.50. (iii) All candidates to the M.Phil. programmes must contact the respective department for availability of supervisors before applying. (iv) The candidate may be required to undergo a selection process as determined by the respective department. (i) A candidate who has obtained the degree of Master of Philosophy must have a minimum CGPA of 4.0. (ii) A candidate who has obtained the degree of Masters of Science must have a minimum CGPA of 4.0. (iii) Candidates must clear with the respective Departments as to the availability of vacancies/supervisors before applying. (iv) All candidates may be required to undergo a selection process as may be determined by the department. For M. Phil and Ph.D. programmes only, admission shall be processed at the beginning of each semester. ALL CANDIDATES FOR M. Phil./Ph.D. ADMISSIONS ARE TO PROVIDE TRANSCRIPTS OF THEIR MASTERS’ DEGREES OR FORMAL EVIDENCE OF PERFORMANCE AT MASTER’S LEVEL. 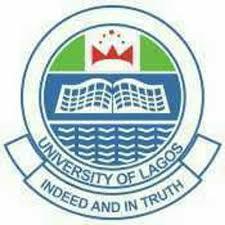 UNILAG Postgraduate Admission – Method of Application. Sale of Application Forms commences on Wednesday, 7th June, 2017 and ends on Friday, 28th July, 2017. Completed Application Forms are to be submitted online not later than Friday, 4th August, 2017. Confirm your eligibility and availability of your desired course. Online Payment: Click the PayNow link to make payment directly on the portal with your bank debit card. After payment, return to the School of Postgraduate Studies website http://spgs.unilag.edu.ng, click the 2017/2018 Application link, then “Continue Application” link, login with Payment Reference Number and provide surname in lowercase as password. Click “SUBMIT FORM” button if the information is correct, else, click DECLINE button (CANDIDATES ARE ADVISED TO COMPLETE THE FINAL SUBMISSION ONLY AFTER THEY HAVE FULLY COMPLETED THE FORM, PLEASE NOTE THAT EDITING OF APPLICATION FORM AFTER FINAL SUBMISSION ATTRACTS A N1,000 CHARGE). After submission, applicants will be required to print and laminate the “Examination Pass” one week to the entrance examination date (this will be required at the examination venue). Candidates are advised to read carefully the requirements for their desired programmes to confirm eligibility. Holders of Degrees obtained from Outreach/Satellite campuses are not eligible. All Academic Transcripts must reach the Secretary, School of Postgraduate Studies on or before the beginning of registration. All M.Phil/Ph.D. candidates are required to contact the relevant Department for availability of Supervisors/vacancies before applying. School of Postgraduate Studies, University of Lagos, Yaba, Lagos.